After a shaky start, Google's Android Wear is now an increasingly mature platform thanks to the update to Android Wear 2.0 and a plethora of new watches running the software. Now Google has rebranded its smartwatch platform to Wear OS in an attempt to make its watches more palatable for those who own an iPhone, but we don't currently know what new features are planned for the latest iteration of the wearable operating system. Existing Android Wear watches have been updated to the new Wear OS software, so if you buy one of the devices on this list you'll likely find it will upgrade to the new branding when you're setting it up. 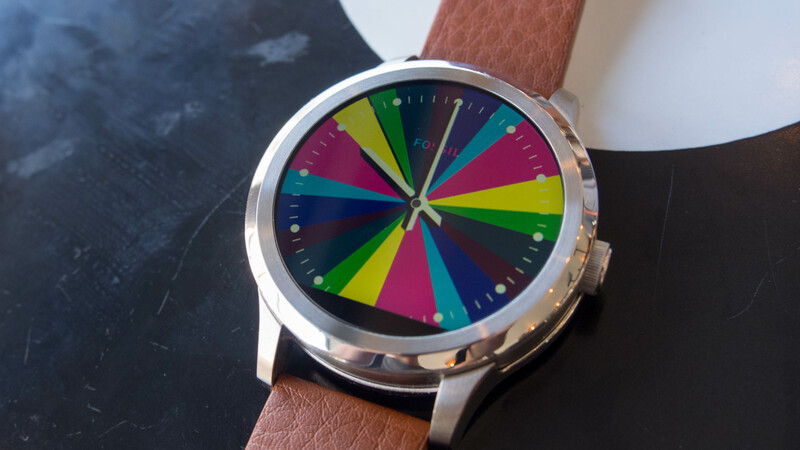 We'll be referring to the devices in this list with Android Wear and Wear OS for the time being, but you'll soon notice us calling all of these watches by the latter name. Asus isn't an obvious name to associate with Android Wear watches, though with the ZenWatch 3 it has more than earned in place. Launched at $229/£250 (around AU$340), though is now almost always a little cheaper, Asus' latest is one of your best bets, especially since it packs Android Wear 2.0. It has a great display, useful hardware buttons and good battery life. The styling might not be for everyone, but Asus did a commendable job designing a watch that looks more like a premium watch than a piece of lifeless technology. With the Huawei Watch, the Chinese behemoth was very definitely aiming at the top end of the market, although the price has dropped substantially since launch and the introduction of the Huawei Watch 2. The main strength is the screen - which is a 1.4-inch AMOLED display, running at 400 x 400 - one of the highest resolution watches available, ensuring PPI on par with the Apple Watch. Helpfully too, the screen is always on - it will dim after a few seconds of inactivity, but the time will still remain visible. Spec-wise, the watch is slightly less remarkable - with a 1.2GHz Qualcomm Snapdragon 400 CPU, 512MB of RAM, 4GB of internal storage and a 300mAh battery it is roughly on a par with its top-end rivals. That said, the price is now a lot lower so it sits above the Huawei Watch 2 in this list. One of Fossil's most recent watches, we really like the Q Venture despite the fact it is missing some of the key features you'd hope for on an Android Wear watch. The highlight here is the design that looks like your average high-end watch, but instead it's stealth packing all of the features we know and love on Android Wear 2.0. If you're looking for a fitness watch, this won't be it though as there's no heart rate monitor, GPS or even NFC. If you're instead after a watch with good battery life and an attractive design, you may be the perfect match for the Q Venture. The Huawei Watch 2 is an attempt by the Chinese company to widen the use of Android Wear watches. Huawei has tried to include a variety of new features in its latest smartwatch and it's not entirely clear if it has succeeded with the Watch 2. We like the built-in GPS and NFC on the watch as well as the option to have a 4G model, but the Huawei Watch 2 can be sluggish and the screen is a little small for some. This may suit you though with an attractive design and a plethora of features, but the price is much higher than the original Huawei Watch which we currently have ranked above this one. Fossil is a traditional watchmaker that has been trying to solve the problem of becoming a tech company, before tech companies can fully become watchmakers. That's why it came up with the Fossil Q Founder Android Wear watch. As Fossil's first smartwatch, the Q Founder features a combination of a brushed and polished metal face as well as a plastic back so it can charge wirelessly. While the screen is lower resolution than some competitors, it is barely noticeable. Perhaps the only annoyance on-screen is the so-called "flat tire" at the bottom, which means the screen isn't a perfect circle. This is to leave room for the ambient light sensor. So it certainly has the looks - and the innards are promising too with 1GB of RAM. But at the end of the day, this watch doesn't stand out like the ones above it in the list.